When your Toyota needs service or repair, you can always head to High Country Toyota for all your maintenance needs. Our in-house service department is conveniently located at our Scottsboro, Alabama dealership location, so you’re never far away from good help. The High Country Toyota service department can handle anything; from routine maintenance, to damage repairs, and replacement parts for nearly every Toyota model. The auto technicians in our service center can be reached at (256) 259-1159, or you can fill out our simple Service Schedule form, located below, to make your appointment. From changing tires to brake repair to oil changes, High Country Toyota is ready to meet all of your auto service needs. Our service center can also produce custom accessories for your Toyota or Scion vehicle to give your car a fresh, personal look and feel. Ask our technicians about out mobility assistance services, how to check for vehicle recalls, check your vehicle’s warranty status, and even check the warranty on vehicle parts. Bringing your Toyota car, van, truck, or SUV to High Country Toyota provides you with a host of benefits that will keep your vehicle running smoothly and your life hassle-free. Our dealership honors new vehicle warranties, has genuine Toyota products and parts in stock, and our highly trained technicians are Toyota specialists – so you can count on the quality of all your maintenance when you visit High Country Toyota. 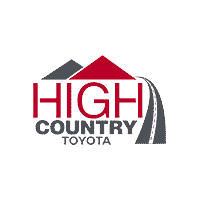 High Country Toyota	34.6318529, -86.045794.